The differences between Central Florida Custom homes and Production homes can sometimes be subtle, or they can be dramatic. It may often simply depend on the builder involved. Although, planning usually differs significantly with the two types building techniques. For those who want their finger on the pulse of home development, it become key to understand the different building approaches. The vast majority of builders can be classified as either Production or Custom home builders. A Production builder can produce both tract style homes and semi-custom homes. If the models available come with a number of choices and a variety of options with individual design components, a semi- custom home appears. While tract style homes are available, Central Florida real estate offers a large percentage of options in production homes that fall into the semi-custom category. These homes give the buyer the ability to create more personalization with their new home. Semi-Custom homes develop based on an existing set of builder house plans. Although, the house plans become altered to meet more of the individual buyer’s preferences. For that reason primarily, some Central Florida Production home builders, applying plenty of flexibility with their model sets, also earn the title of Custom home builder. Numerous Central Florida homes for sale exhibit semi-custom qualities in no-hassle, ready made real estate developments. Buyers benefit from the versatility of custom enhancements coupled with time and cost savings in pre-developed homes. A truly Custom home employs customization from the ground up. These homes, known as stick-built or built-from-scratch combine the builder, architect and other developmental parties, together with homeowner input to create a one-of-a-kind end result perfectly suited to the buyer’s preferences. 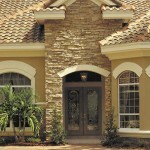 Central Florida Custom homes of this caliber trend quite high in quality. They also tend to be focused on a smaller developmental scale. Expenditure of time and cost peek at a higher level than Central Florida Semi-Custom and Production homes. Those interested should find plenty of opportunity for creating a dream home in any number of communities and home markets, such as Windermere real estate, or Lake Nona real estate. Those interested in Central Florida homes for sale should expect to find that Custom quality typically comes as a standard with home development. They should expect to find Central Florida Custom homes and Production homes lining up to meet the unique needs of every age group, family size and buyer type. If you would like to find out more about homes for sale in Central Florida that meet exclusive standards at a variety of levels, contact us at Tolaris Realty today.